Back at SXSW again covering the film festival for The Screamcast. I’ll be posting brief rundowns, in order seen, of the screenings. I will try not to reveal too much (most of these films have not yet been made available to outside audiences), but rather give a general sense of the films. At SXSW, ballots are issued so that the films can be rated on a scale of one to five. You are unable to give a half point rating (e.g. 3.5), so I’ll be rounding up when applicable. I’ll share my SXSW rating, along with my preferred rating in parentheses. Wildling is a dark fairy tale of sorts. A young girl named Anna is raised by a man she refers to as “daddy”. Daddy keeps her locked in a room in total isolation from the outside world. He restricts her diet to vegetables, and explains that he doesn’t let her go outside in order to keep her safe from scary, dangerous creatures called wildlings. As she matures and gets closer to womanhood, problems arise. Brad Dourif plays the father figure, and (Bel Powley) plays the young girl. Dourif is good (he can play these roles in his sleep by now), but Powley is great as a wide eyed kid going through an especially challenging adolescence. Liv Tyler also shows up as the local sheriff. Director (Fritz Bohm) gets some things right (he doesn’t skimp on the character development), but the film is hampered by a late tonal shift, and some less than desirable effects (practical, but ill-conceived). 6 Balloons is a harrowing portrait of addiction. Abbi Jacobsen play Katie, a woman who struggles to manage her own life, while simultaneously helping others with theirs. She is seemingly drowning in anxiety, and there just isn’t enough time in the day to do all that she needs to do. The film takes place on a day where she is preparing a surprise birthday party for her boyfriend. Her father fails to pick up her brother, Seth (played by Dave Franco), and his four year old daughter… so it falls to Katie. Seth has had issues in the past with heroin addiction, and Katie is concerned that he has relapsed. Director Maria-Lewis Ryan clearly wanted to accurately depict the horrors of addiction for both the addict, and those close to them… she does just that. Franco is great, and Jacobsen shows some real dramatic chops (she’s known mostly for the Comedy Central show Broad City). The film is sad, but warm, and has an interesting way of visually conveying Katie’s sense that she is being overwhelmed. Shotgun was perhaps the best surprise of the fest. It is a romantic drama that has moments of humor, but never at the expense of the story. Maika Monroe (Gonna keep sayin’ it… why isn’t she a star yet?) is great as Mia, but the revelation here (we already knew what she could do) is Jeremy Allen White. I haven’t seen Shameless, so I wasn’t familiar with his work. He is great here as Elliot, a promiscuous young man living in Brooklyn. He goes to the doctor for what he believes to be an STD, but it may turn out to be something much more serious. As he comes to grips with his diagnosis, he meets Mia and confides in her about his condition from the very beginning. Examinations of how health issues can shape relationships have been done before, but never quite like this. Writing/directing team Hannah Marks and Joey Power make all the right choices (except for the title), and the portrayal of millennials seems authentic (Marks and Power are young themselves). I’m looking forward to seeing more from all of the nascent talent involved in this one. Upgrade was Thursday’s midnight screening, and is a bundle of fun. Writer/director Leigh Wannell’s vision of a near-future world of self-driving cars, and cyber enhancements stars Logan Marshall-Green (who might be more Tom Hardy than Tom Hardy) as an old school technophobe who restores (and still prefers) American muscle cars. He restores a car for an extraordinarily wealthy inventor, but might’ve signed up for more than he bargained for. A tragic accident (Or was it?) leaves him paralyzed, and his wife dead. His relationship with the inventor allows him to be a test subject for a new implanted AI chip, referred to as STEM. This chip will allow him to walk, but he will retain full control (or so he is told) of his thoughts and actions. As he seeks answers regarding his wife’s death, he finds the AI to be very beneficial to his cause. Wannell (writer of Saw, and Insidious) has managed to make a great looking action film on a relatively low budget. A Bluebird in my Heart is a dark, gritty tale of an ex-con (Roland Moller) trying to go straight and get his life in order. He rents a room at a small hotel run by a mother and her teenage daughter, and gets a job cleaning the kitchen (the film is based on the Dannie M. Martin novel, The Dishwasher) at a nearby Chinese restaurant. Things are going pretty well, then he takes on a father figure type of role to the young girl (Lubna Azabal) at the hotel because her biologocal father is in prison. Director Jeremie Guez was clearly influenced by the relationship between Leon and Mathilda in The Professional, and though this film does not reach that level of artistry (or violence), it is compelling nonetheless. Thunder Road is Jim Cummings’ feature length adaptation of his own short which played SXSW in 2016. He is the writer, director, and lead actor on the project. The film follows Cummings (as Officer Jim Arnaud) through a particularly difficult time in his life. The film opens with him giving the eulogy at his mother’s funeral. He cites the title track by Springsteen as being his mother’s favorite song (which leads to an interesting tribute to the departed). We also find that he is in the middle of a divorce, and a custody battle for his young daughter, Chrystal. Jim has difficulty navigating day to day life, making choices that are inexplicable for an adult (think big screen Michael Scott). While it’s difficult not to feel sympathy for him as he faces losing his daughter and job (among other things), it’s also hard to imagine that he would be good enough as a father or police officer to deserve retaining those roles. Most of the film tempers the sadness of the subject matter with doses of levity, but there is a scene between Jim and his ex (where all of the dialogue is his) that is serious, dark, and emotionally devastating. 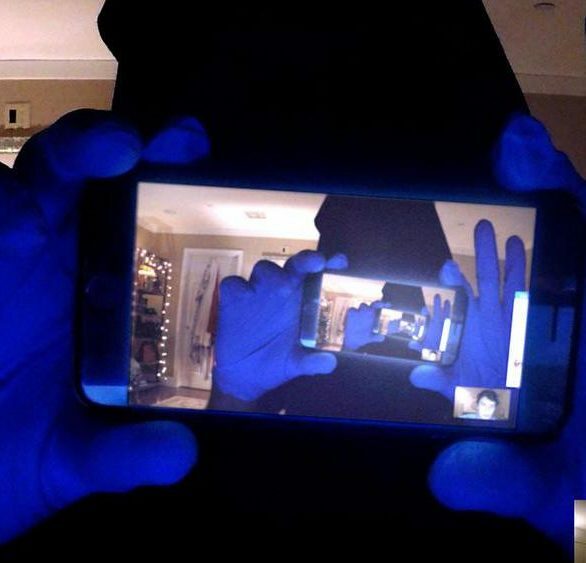 Unfriended: Dark Web was the Friday midnight movie. Originally titled Unfriended: Game Night, the title was changed to avoid confusion with the comedy Game Night which is currently in theatres. The film takes place in real-time, exclusively on a computer screen. That may sound gimmicky and tedious, but I found it to be neither. Writer/director Stephen Susco deserves points for figuring out a way to present this story, given its constraints, in a compelling manner. Not a sequel to Unfriended, the film introduces us to Matias as he sets up his new (?) computer. He interacts with his deaf (which provides the filmmakers with some tense visual possibilities) girlfriend, and five other friends (mostly through Skype) as they enjoy a game night (hence the old title). In addition to his friends, Matias has to simultaneously deal with messaging from someone claiming that the computer is theirs. Unwisely engaging with them is his first mistake, and leads him down a rabbit hole to the… dark web (hence the new title). Support the Girls gives Friday’s Child some serious competition for worst of the fest. Though not as pretentious as Friday’s Child, this film doesn’t really have any redeeming qualities at all. The film is a day in the life of the manager (Regina Hall) of a Hooters-esque bar in the middle of Texas, called Double Whammies. I’m a sucker for films that portray a workplace that isn’t the usual Hollywood cliché (hospital, law office, etc. ), and the fact that this one is told from the perspective of female employees with an African American woman as their boss, delighted me. This was a chance for me to pull back the curtain for a view of something I’m not typically privy to. I wanted to like it. I held out hope for the first half hour or so. It’s just not very good. A Vigilante is first time director’s Sarah Daggar-Nickson’s revenge thriller. Olivia Wilde is very good as Sadie, a woman whose actions stem from a traumatic domestic violence experience in her past. Revenge thrillers involving men are commonplace, and there are also quite a few films where women extract revenge from their abusers. What sets A Vigilante apart is that Sadie uses her impressive physical skills (she is seen performing strenuous training throughout the film) to help others. Abused women call her number and leave a message containing a very specific phrase, she then helps them with their situation. Those in need are made aware of her services via word of mouth. She charges a nominal fee (and wishes she could perform her services gratis), and lives out of cheap motels. This is her existence. The film starts strongly by showing an example of her methods (not what you might think) and ends with the inevitable confrontation with her past. It’s the middle where the film drags. Seemingly so strong while “at work”, here we see Sadie struggling with her tremendous emotional baggage. This is necessary for an understanding of the character, but the pacing during this stretch could use some tightening up. 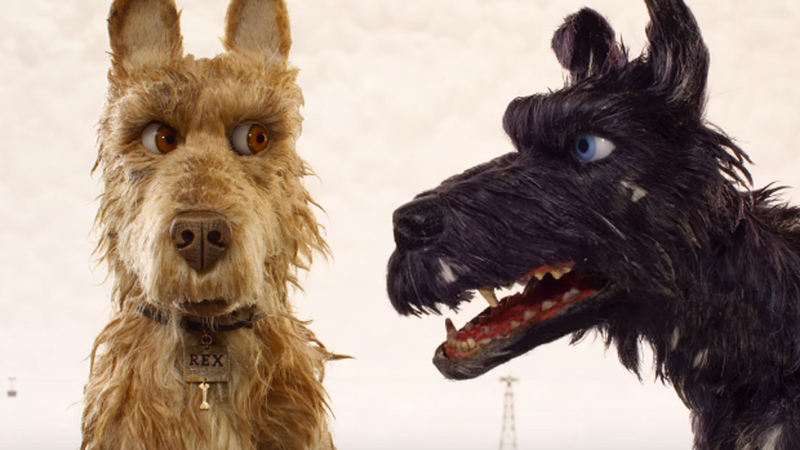 Isle of Dogs is the new Wes Anderson stop-motion film. Do you love Wes Anderson? Did you love The Fantastic Mr. Fox? The answers for me are yes & yes, so I loved this film. Answer no to either… this one’s probably not for you. The story takes place in the near-future in the fictional Japanese metropolis of Megasaki City. The Mayor of the city, Kobayashi (co-writer Kunichi Nomura) has banished all dogs to Trash Island (under the pretense of protecting the city from dog-flu), and his nephew Atari crash lands on the island and sets out to find his dog, Spot. Swipes are taken at xenophobia, and political corruption, but make no mistake… this film is not heavy handed, it wields a deft touch. Several of Anderson’s usual suspects are along for the ride (Bill Murray, Jeff Goldblum, Edward Norton), but Bryan Cranston as Chief is the standout here. This being a Wes Anderson film, there is a twee pop song from the ’60s (I Won’t Hurt You, by West Coast Pop Art Experimental Band) and it works very well, but he practices restraint and leaves most of the music to Alexandre Desplat’s excellent, taiko-drum heavy score.